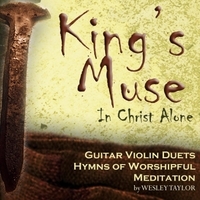 Beautifully produced guitar and violin arrangements of your favorite Hymns and Spiritual Songs. Meditate and pray with them. This is even a very effective sleep-time CD for infants and young children. Produced entirely by Wesley Taylor at Q Records.